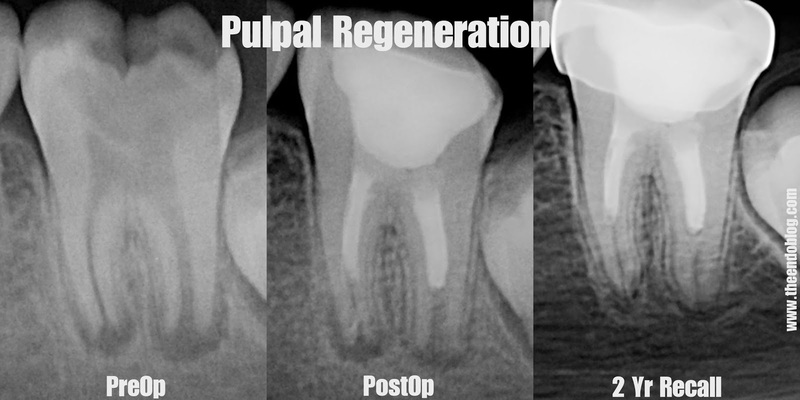 Most pulpal regeneration cases are done on traumatically injured anterior teeth. The following case is a pulpal regeneration on an immature, necrotic tooth #19 due to coronal decay. This regenerative procedure was done in a single visit, NaOCl irrigation, MTA barriers, flowable composite over MTA and Luxacore resin buildup. Proper coronal coverage will help preserve this tooth until a permanent crown can be made. No further endodontic therapy is needed on this tooth. Did you hand file to length? Then you cleaned out with NaOCL and just placed MTA? No final root canal will be needed eventually? Also, if this was necrotic, and you're regenerating the pulp, what is the status of the pulp post-regeneration? Great questions. I did take a file to length, but with pulpal regeneration, there is little to no filing of the dentinal walls. The file at length is remove necrotic pulpal tissue and loosen it to improve irrigation to the apex. As a general rule, the tissue formed in these cases is best described as "pulp-like" tissue. 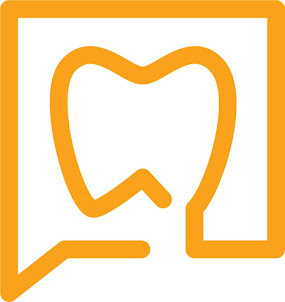 It may include dentin, cementum, connective "pdl-like" tissue. They typically begin to respond to EPT - but not to thermal testing. The treatment for this tooth is complete. Recent recommendations include doing a final rinse with EDTA before beginning the regeneration. EDTA releases natural growth factors from the dentin thay may help recruit regenerative cells to the area. Great post! Been looking into endodontic therapy recently, so the info here and across your blog is rather helpful. Thanks!